Drag and drop standards by clicking the 4-way arrow and moving the standard to the order you want. Click on the color group button, and check the boxes for each group, unit, or benchmark you want to be displayed in your tracker. Groups are determined by the set of standards you added to your tracker. Units are defined by a curriculum map, if you created your tracker from a curriculum map. 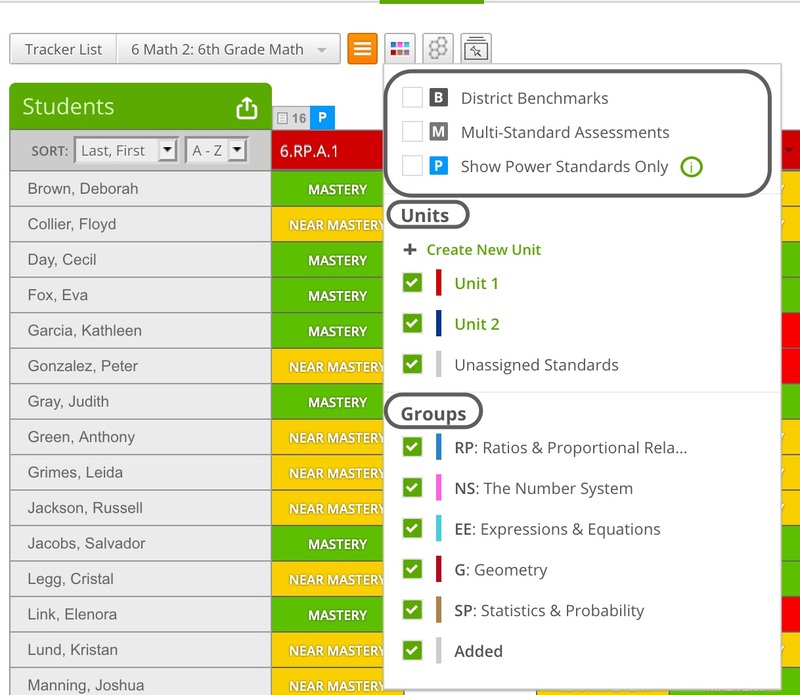 If you added any additional standards, such as another core or grade, those will be part of the group titled Added. Hover over each standard in your tracker and click on Notes to add any additional notes to the standard, such as "I Can" statements. Click on Edit to enter your notes, then click Save. Check the box to hide the notes from parents if you want to keep the notes private to yourself. 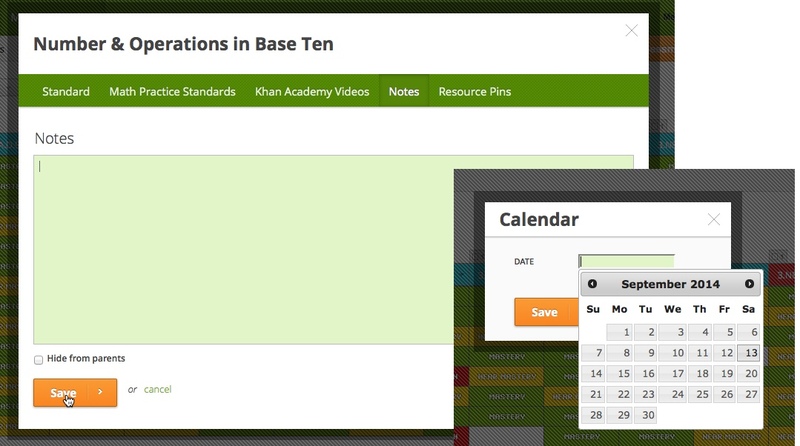 Hover over the standard and click on Calendar to add calendar dates to your standards.